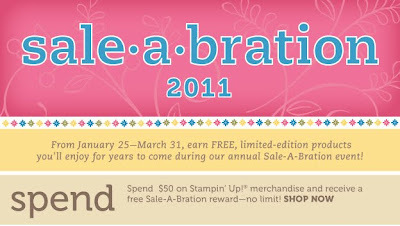 Simple & Sincere: It's time to Sale-A-Brate! Yeah, baby! It's that time of year we've all been waiting for! 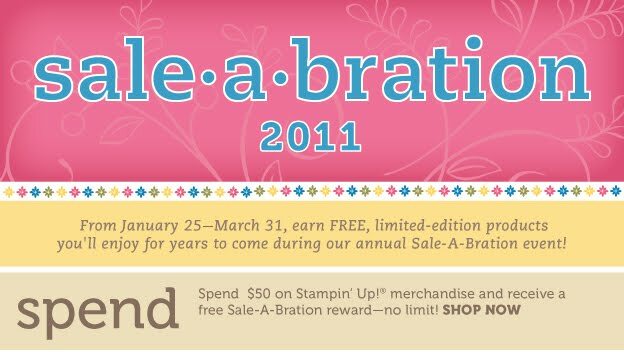 Want to see the Sale-A-Bration mini catalog? Click here! Want to place your order now? Visit my demo web site today! Want to book a workshop? E-mail me to schedule your Sale-A-Bration workshop (see link to the right). Stop by later today - I should have a new project to share. See you then!